Super Division U10 (SD10) is a competitive division aimed at providing a fun environment whilst teaching kids on ice positioning, puck movement and team situations. Eligibility Players should be born in 2007/2008, unless otherwise approved by the coach. * All game schedule are subjected to change and final decision by HK Typhoons. * Players with any outstandstanding payment will not be allowed to go on ice!! The season will start with 3 exhibition games to determine fair and team balance. 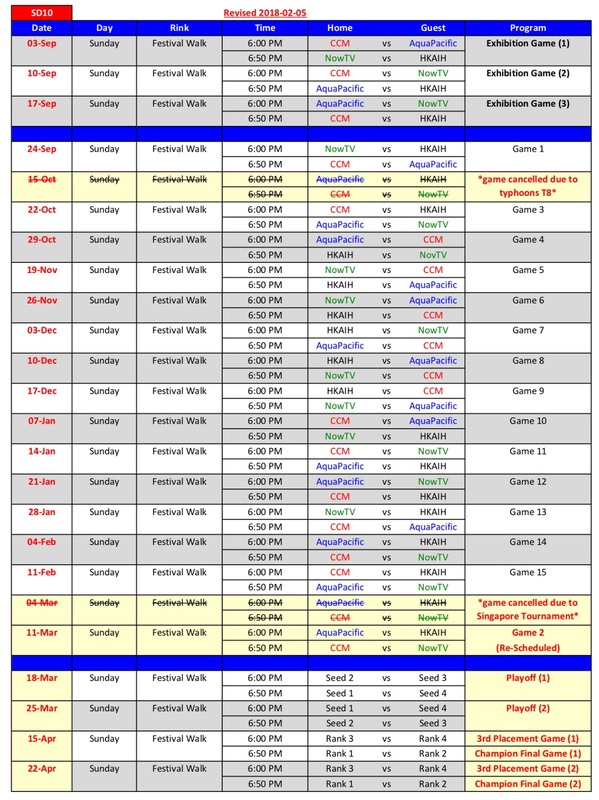 Regular season will play round robin 15 games and playoffs. Playoff semi-final, 3rd placement game and final will be 2 games total score. * Registration information please refer to City League Main Page for details.